Marlenea's Manifesting Money Like Magic! Topic: Manifesting Money Like Magic! "Never Fear" The MILLION DOLLAR ANGELS ARE HERE! Step out of survival into abundance. We Know That You're Here for More Than Information. You Want Real Transformation! That is why Today Marlenea is offering You One of the Greatest Opportunities of Your Lifetime! 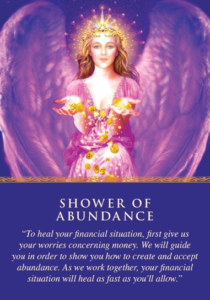 Marlenea will be channeling Divine Messages coming forth as given from her Angelic Money Team. Marlenea does everything in her power to help You awaken to the truth about who You really are —You are an amazing, powerful divine being who is meant to play a unique role on this planet simply by being YOU. Her mission is to bring the pure light and truth to every soul on the planet. 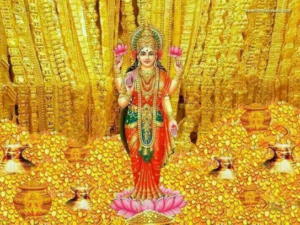 Since the Angel sprinkled Amazing Golden Stars on her, her entire life has Transformed! All her depression disappeared, she was unable to be around negative people, and found myself speaking Miracles right into existence! And right now, she can not imagine anything stopping You from receiving Your Miracle either! Make sure to jump on the call early- press star 2 to be chosen to work with Marlenea. The lines will be jammed by thousands of people around the world! Marlenea will be opening Your Magic Money Books on The LIVE call! Don't Miss Out!!! WE GET LETTERS LIKE THESE EVERYDAY FROM PEOPLE WHO WERE SUFFERING YEARS OF LACK, FEAR, AND PAIN AND SUDDENLY IT ALL SHIFTED!!! Thank you so much for the wonderful session we had the other day! There was a positive result the next day: I had been calling lawyers for the last 6 months, especially those that work for Senor Citizens rights, but no attorney would accept the case against this chiropractor who promised to "cure" or at least "reduce" Joanna's out of control Diabetes, and back and leg pain,and who charged her $10,000.00 with no results whatever after 8 months of "treatment", so the day after our conference an attorney emailed me that he would take the case!! saying that there was only a 50/50 chance of getting the money back from this chiropractor, but he would attempt it!! Dear Marlenea, this was such good news! and since the case is shaky, would it be possible to send a special angel to help this attorney( Todd Friedman in Los Angeles)Todd to retrieve the funds, so the case can go smoothly and quickly? and also, is it possible to send a special angel to help my dearest Joanna who suffers back,and leg pain and constipation every day, there must ,at some level, be a cure for these physical problems. To see someone whom I really love suffer this much pain every day, is getting me down too. Thank you so much for all your help! Exactly What You Want in Life? Take action NOW! Go ahead and look below at Marlenea's Special Offer Right Now. Believe her, You'll be so glad You did! Grab a bundle of VIP Sessions with Marlenea and save even more Money!!! 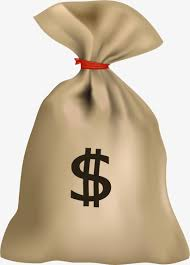 May Money Miracles Manifest Like Magic For You Starting Now! Exclusively For Transformation Show for $500 only! Exclusively For Transformation Show for $1000 only! Exclusively For Transformation Show for $2000 only! You’ll love having the Secrets to effortless Manifesting. Money is a vibration of Divine Love and Joy! There are Angels of wealth who help you with your financial issues. The role of these Angels is to bring you money. 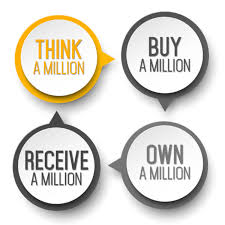 They specifically are given the task to assist us with financial issues. You will attract more Money the more you glow! 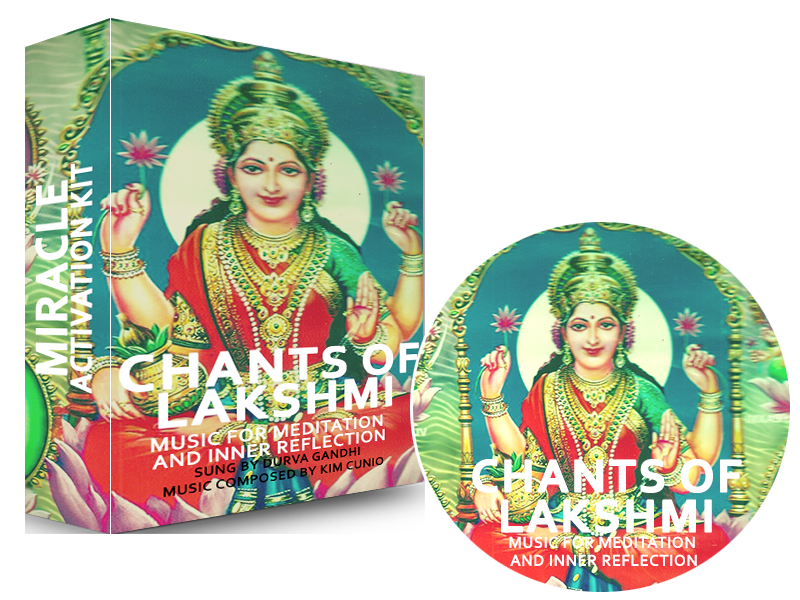 Helps you to release and let go of all anger and negative feelings you may have towards money and people that actually is one of the main reasons you are experiencing any lack or delay in receiving from God and the Universe. You will be receiving 30 days of Energetic Infusions Sent Directly into Your Money Field. Flow of Money Manifesting in Your Life now, say YES! Then Hurry and Grab this Package and Begin Utilizing it Immediately!!! $10,000 in debt cleared after using your package and having our session! Got a great offer on my home 2 days after working with your package and having the session! Received good news right after our session -a lawyer will take our case! Wake up each day in gratitude for the Money about to show up! Yes! Joy follows Money-Be the absolute Joy Money is looking for! Use this track each and every morning for Your greatest results! Use this track anytime You need a boost of energy! 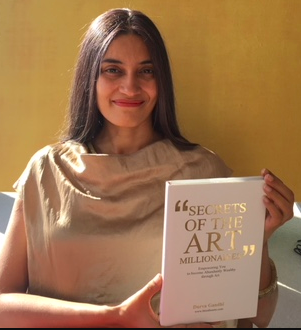 Secrets of the Art Millionaires written by Durva Gandhi, an art expert, reveals the best kept secrets of the art industry. Through it, you will you learn how to instantly improve your 'bottom line' by exposing you to the inner workings of the industry. If you want to further your knowledge and use it to your advantage, don't just read this book - read it like the Bible of Art. This book will bridge the gap between your desire for success and your achievement of success in any creative endeavours. 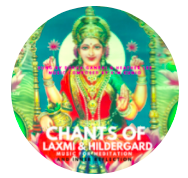 Chants of Laxmi & Hildergard is a unique album, two singers from India and Australia meet to explore how east and west can meet the glorious Laxmi Chant sung by Durva Ghandi purifies us with the vibration that only devotional Sanskrit can produce the sublime music of the 12th century abbess Hildergard of Bingen sung by Heather Lee takes us to the cosmic heights of spiritual ecstasy with accompaniment by sacred composer Kim Cunio this is an album to transform our spiritual practice. Thank you Magical Marlenea…. wow. Pain is gone. I am so grateful for being on call. I was in pain and about to take some pain medicine and after doing Marlenea’s 24K process, the pain vanished. I was not expecting the pain to be gone instantly. At another time, I was on a call Marlenea was working with someone who needed their AC fixed and she spoke about having the temperature of home to be at comfortable 70 degrees. I am happy to report that the temperature of my home stayed at a comfortable 70 degrees all summer and I did not have to get my AC fixed. I had a cool home right until I had to put my heat on. I also had a private session with Marlenea and it helped to release a lot of the old hooks and energies from my past to clear the way for a more prosperous future. I loved the way she related to my past and made me feel so supported. I would highly recommend to buy a package and sessions with Marlenea. She is a powerful, powerhouse, magical healer with such a loving, supportive spirit. I just love her beautiful energy. Results, Amazing Results! I contacted you after listening to a call you were on. I bought your package BECAUSE People were being healed on the call and I, myself was set free from depression and great fear that day. When You spoke to me directly, I started to cry, it was my release of years of emotional pain. Within a few seconds I was actually laughing. And I am now dancing like you told me to do. And Wow! That Blockage clearing Mp3 works! Each time I play it, I feel its power working and more and more is lifted right out of me! Share this with everyone. They need to know. I have to from my package manifest the gold shower Marlene; after you wrote me I manifested $1200 for the storage. Now I have online animated ads for: fitness trainers, realtors, plumbers and accountants. Setting it up to get clients like yesterday already. Prayers welcome welcome as breaking through glass ceilng. Hooray Save the Day Hooray Hooray ! Are you ready to have Your Personal 1 on 1 Session with Marlenea? Yes! Is the only response that will bring You the Real results You have been longing for. Deep down inside of You are the truths beyond any earthly limitations. During a Session You can expect Sudden Peace, Outburst of tears or laughter, whichever is needed for Your inner healing. You'll be releasing toxic energy, fears, negative learned patterns, all stuck energy, any and all attachments, any and all entities, cursed energy, family and generational patterns that have held you captive, and whatever comes up to be cleared forever!!! Once and done is Marlenea's belief! She won't waste her time or Yours. Believe her. This is what recently happened from working with Marlenea! $10,000 in debt cleared after using this package and having our session! Dawn in Burbank, Ca. OMG! Is all I can say. I finally succeeded in starting up my business!!! Marlenea, you are definitely for real. I do not know exactly what you cleared out of me that had me stuck and in fear of my future, but it caused me to take action. I now have a website and actual buyers for my art! I am looking forward to waking up everyday now! Wow! What a shift. Thank you 1 million times over!" I would like to write a testimonial about my experience of working with Marlena Johnson. I have been working for years, trying to shift my money blocks for such a very long time. When I came across Marlena, she was a Special Guest Speaker on a manifesting course I was part of. Marlena guided us through her '24kt Gold Magic Money Miracles Meditation'This meditation alone was so fantastic!! I'm not a visual person & normally I find it challenging to follow along a Guided Meditation. However, Marlena's 24kt Gold Guided Meditation was profoundly different & I loved every minute of it. The guided journey was not only visually beautiful & Magical! It was so easy for me to follow along with, and it was incredibly powerful, based on the Energy Shifts that have occurred for me since! Immediately after this 24kt Gold Money Miracles Meditation with Marlena, I noticed some incredible signs, that something had SHIFTED ENERGETICALLY I opened my eyes after having them closed during the Money Miracles Process & noticed a very unusal colour coming into the room, so I pulled back the curtains & there was a brilliant rainbow with Golden streams of light behind it. (It had been a very grey cloudy overcast day, so the light was such a bright contrast. )I felt very strongly that this Rainbow & the Pot of Gold at the end of the rainbow, was a sign that Transformation of my money blocks had occurred. Not only did I experience this sign, but I felt that I had embodied Marlena's process. Despite still having very little money to speak of, I felt much lighter & started noticing lots of little things opening up for me! I may not have attracted my millions of dollars as yet, but I have indeed attracted some very unusual surprises. A complimentary coffee gifted to me (unexpectedly) then when I was buying my daughters birthday gift I was given an (unexpected) 50% off the price tag. The next day as I was leaving our local supermarket, the cashier (unexpectedly) said 'oh congratulations diana, next time you shop here, you'll receive $20 off your total bill'. Then the very next morning, I went to the atm to withdraw the last $20 cash I had left until payday and (unexp ected) 50% off the price tag. The next day as I was leaving our local supermarket, the cashier (unexpectedly) said 'oh congratulations diana, next time you shop here, you'll receive $20 off your total bill'. Then the very next morning, I went to the atm to withdraw the last $20 cash I had left until payday and (unexpectedly) $80 mysteriously appeared ?? All of these are little signs of an energy shift, a transformation of my money blocks, and it has all happened since that one powerful 24kt Gold Guided Meditation with Marlena. I cannot wait to start using her beautiful MP3's.Marlena is clearly very Gifted, and what I really like about her, is as well as being quite Magical, she is also very down to earth, she offers practical tools & is incredibly generous with her gifts. If she can shift my Money Blocks, she can do the same with yours! I highly recommend Marlena & genuinely look forward to working with her one on one to shift more of my un-conscious blocks, as well as using her beautiful, powerful MP3's.In Heartfelt Appreciation"
I want to thank you for your wonderful Hosting abilities, your show is by far my favorite. I find you to be very professional and light, with regards to how you host. You seldom interrupt the healers only when needed. You allow them to take over and do their sessions, with minimal interruptions. On another note, I've been really connecting with Marlenea, she's amazing... I was in need of a new car and was trying to manifest it, to no avail... since listening to marleneas manifesting session, I now have my new car. I want to send her a huge thank you and I look forward to listening to many more of her sessions. I wanted to say, "Thank you!" I listened to your healing downloads and something shifted right out of my body! I am amazed at the way I am feeling right now. The pain is gone! Seriously, the pain in my neck is gone! I'M ASTONISHED. Now I can clean my house, go for a drive which I couldn't do because the pain was so bad I couldn't turn my head. Please share this with everyone! I am forever grateful to God, The Angels and you! My eyesight has been clearing up! I'm going to keep you posted Marlenea For all you are doing for me, I appreciate this. Wow! The Total Detox is amazing! I feel as if I was bathed in Healing Light. My body is pain free. I LOVE THIS!!! Everyone should feel what I'm feeling right now. MARLENEA, YOU ARE A GOD SEND. Wow! I keep meaning to send this to you, and I finally remembered to finish it!! Please feel free to post it anywhere you would like, and you are welcome to include any of the pictures I attached as well to any testimonial!! And it sure feels like it's not stopping like the old believes that are gone, are truly and for ever gone. I feel so much joy and no holding back for things I want to do in my life now. I feel amazing, and I am amazing and shining my light throughout the day to all living creatures I meet. Nothing else has ever had such impact and taken away the beliefs and other stuff standing between me and my goals. Dear Magical Marlenea, I want to share some good news today! I have been suffering with coughing and having difficulty breathing since my husband passed 6 years ago. You were the only healer that knew the exact cause and within minutes of clearing the grief and all the layers underneath, I could actually take deep breaths! I was shocked to say the least. I started smiling again. A few days have gone by and I am still able to breathe freely!!! I must say, you were the answer to my prayers! Thank you for everything! Your packages are so powerful I believe everyone should use them and experience Amazing results like I have. Angelic Healing Music and invocation. Angels will be ministering to you and your entire being will be illuminating with Divine Light. Simply relax and allow Source and His Angel Team to deeply soothe you and raise your vibration-so you will start experiencing the best outcomes in your life. Wow! What can I say, I'm speechless here. You're Amazing! I bought so many packages trying to break free from years of endless pain and struggle. I would get a small hint of change only to end up back where I started. When I met you, my Earth Angel, Marlenea, you listened, you cared, you took the time to assist me into receiving what was mine and clearing the mess I accumulated and took on from my ancestors. Yes, I HIGHLY RECOMMEND YOU to anyone struggling to get free from whatever it is they are dealing with. Today is the first day of the rest of my life! I feel great! Thank you for clearing my bad karma, OMG! “Thank you Magical Marlenea…. wow. Pain is gone. I am so grateful for being on call. I was in pain and about to take some pain medicine and after doing Marlenea’s 24K process, the pain vanished. I was not expecting the pain to be gone instantly. At another time, I was on a call Marlenea was working with someone who needed their AC fixed and she spoke about having the temperature of home to be at comfortable 70 degrees. I am happy to report that the temperature of my home stayed at a comfortable 70 degrees all summer and I did not have to get my AC fixed. I had a cool home right until I had to put my heat on. 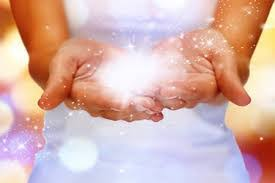 I also had a private session with Marlenea and it helped to release a lot of the old hooks and energies from my past to clear the way for a more prosperous future. I loved the way she related to my past and made me feel so supported. I would highly recommend to buy a package and sessions with Marlenea. She is a powerful, powerhouse, magical healer with such a loving, supportive spirit. I just love her beautiful energy. I did a lot of workshops training drugs yoga Activations Reiki meditation and so on in my life… What I’ve experienced after being part of your telesummit 8/8/8 is amazing. And it sure feels like it’s not stopping, like the old beliefs that are gone, are truly forever gone. I feel so much joy and no holding back for things I want to do in my life now. I’m truly enjoying every single second of my day. Self taught, Internationally known; Master Manifestor, Manifesting Generator, Abundant Life Coach, Motivational Speaker, Light worker, Intuitive Energy Healer, Home and land balancer, and a Clairvoyant Angel Channeler. 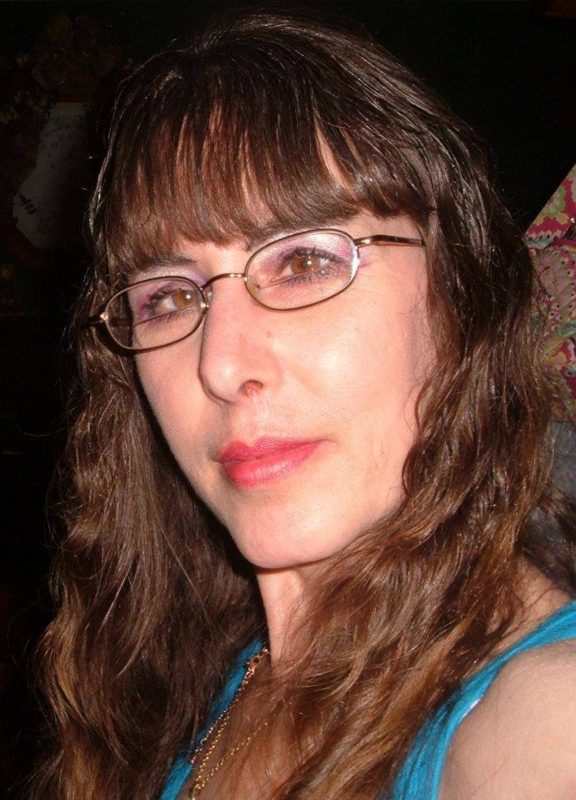 Magical Marlenea has assisted over 13,000 people worldwide. She meets them on the level they are at and elevates them at the speed they are ready to experience. The goal is to empower them to easily "Manifest their hearts desires and Thrive" living a life of infinite possibilities! Dealing with years of abuse, severe depression and financial ups and downs, Marlenea knew that there was more to life and that she had to break free from the stress and fear money issues were causing her. Her healing journey began in her teens. Reaching out to God in urgent prayer, she was miraculously healed of depression. On several occasions, Angels have appeared bringing messages, sprinkling Golden stars upon her, and saving her life. People have shown up asking for assistance in every area of their lives. Marlenea prefers working with healing their finances. But she knows once the root causes are removed, layer by layer, Magical results occur. Not only do their finances improve but their health and relationships as well. She is a multidimensional intuitive healer. She says, "Bring it on!" For nothing is impossible to those that believe." Given the Golden Key that unlocked her Magic Money Manifestations from GOD, Source, she now teaches others what she's learned. Using an array of energetic processes given to her by God, Source, she has manifested free cars, a new home, thriving businesses, miraculous healings free gifts, jackpots, miracle money; just to name a few. Many of her clients have experienced the Magic results as well. Thousands of people can't be wrong! The Golden Key must be activated in your life in order to see results. A reconnection with God Source and His life force energy flow must be established. Amazing results follow her and her clients. She gives all the credit to God, Spirit and her Angelic Team. Afterall, her life was spared, she was healed, granted permission to visit Heaven,given the Golden Key to transform people's lives! When you connect with Marlenea, you are connecting with an Earth Angel and your life will never be the same.